Dr. Halter established the University of Michigan Geriatrics Center as its director in 1987. Under his leadership, the University of Michigan geriatrics programs consistently rank among the nation’s best for hospital care and medical school training. Dr. Halter also established the Geriatric Research, Education and Clinical Center of the VA Ann Arbor Healthcare System in 1989, where he served as director until 1998. Dr. Halter’s research interests include neuroendocrine regulation of metabolism in aging and in diabetes mellitus. Widely published in the scientific literature, he is the senior editor of Hazzard’s Geriatric Medicine and Gerontology, 6th Edition, 2009. He has held many leadership positions in national professional organizations and advisory boards. He is a member of the American Society for Clinical Investigation and a Fellow of the American Association for the Advancement of Science. 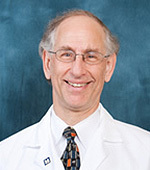 Dr. Halter is the recipient of many honors and awards, including the American Geriatrics Society Nascher/Manning Award for lifetime achievement in 2008.